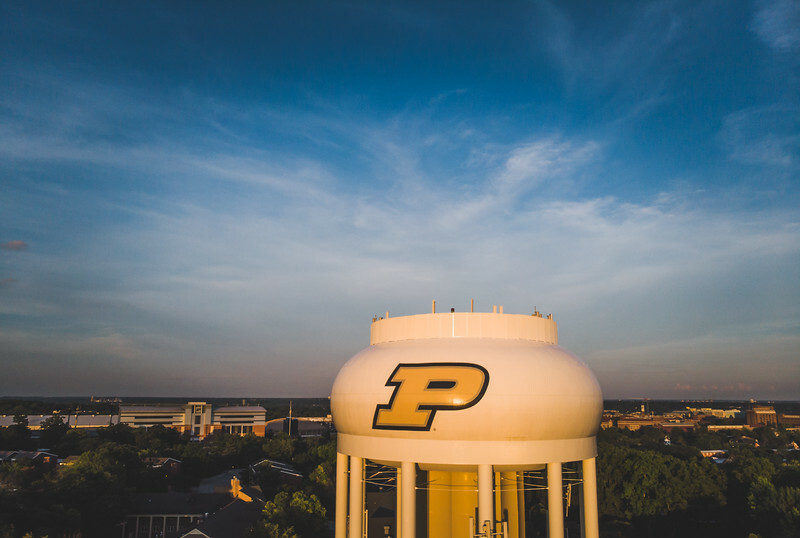 With all of the construction on the campus of Purdue I left a little earlier than I normally would have for my firework shoot. I did so to make sure that I made it to campus in time to make a sunset picture. I wanted something in case my calculations for the fireworks were not correct. 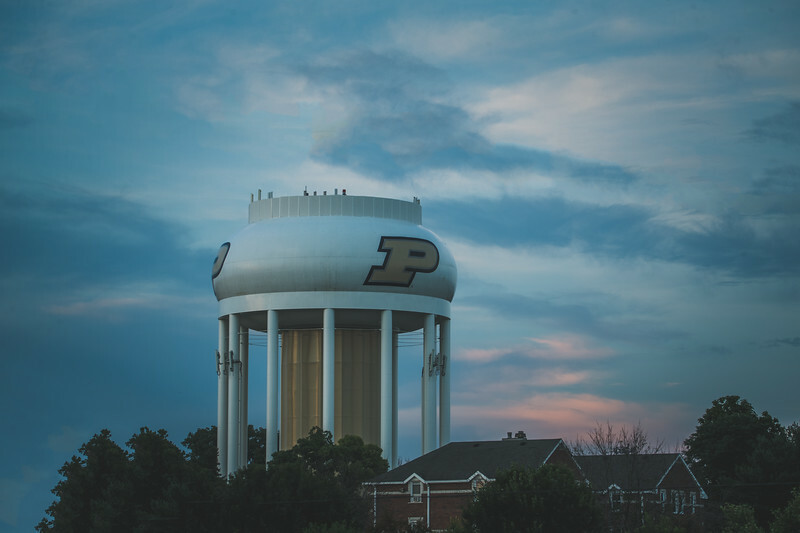 As I turned around at yet another road closed sign I saw that the light was looking great on the Purdue water tower. I found a safe place to park and take off from and made a couple of quick photos. When I saw just how good everything looked I knew that I had at least one decent photo in the can on the night. After a shoot like the one on the Fourth of July I like to have some choices after everything is all said and done. I follow some great photographers like Thomas Heaton who go out and make one good photo on a trip. That is all that they are looking for. I like to have a few to choose from for a trip. If for nothing else it becomes a possible blog post for the future. When you write and show at least one photo a day you have to have some things for the times when the photos are not so plentiful. Luckily on the 4th I had some good light and good times. I was able to make a few photos that I was happy with. I made the second photo in this post with the same rig I shot the fireworks with as the sun was setting. The colors were too nice not to make a photo of it.